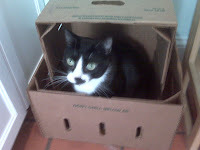 Chronic kidney disease is an all too common finding in middle-aged to senior kitties. Though we are not yet able to prevent kidney disease, the earlier we detect it, the better chance we have of managing it, which is why we strongly suggest that all senior cats get blood work as part of their regular wellness exams. Clinical signs to look for are decreased appetite, vomiting, weight loss, increased thirst and urination. We do not see an increase in kidney values, the BUN and creatinine, until 2/3 of the kidney tissue is damaged. Once the kidneys have reached this state, our goal is to support the kidney function that remains. This is accomplished with a kidney-friendly prescription diet. These diets are designed to contain small amounts of very high-quality protein, thus decreasing the work the kidneys have to do. We suggest feeding canned food, if you don’t do so already, as the increased moisture will also help flush out the kidneys. 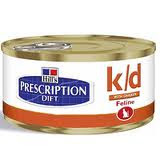 Starting your cat on an Omega-3 fatty acid such as fish oil has also been shown to help protect the kidneys. 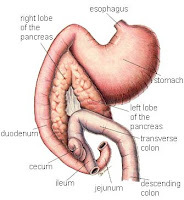 I also recommend that owners begin giving the antacid famotidine (Pepcid AC); this helps settle the stomach as increased kidney values can cause nausea. You may also be asked to give your cat fluids under the skin, which help keep kitty hydrated and feeling good. Kidney disease is progressive so, despite our best efforts, it will eventually get worse. That said, the majority of cats respond very well to treatment and live with their disease for many years. The best strategy is to catch it early with routine bloodwork. This will allow us to do everything possible to give you and your kitty a long, happy life together. This is another very common condition in cats that can present with signs similar to kidney disease. What is slightly different is that hyperthyroid cats can seem agitated and are often ravenous despite noticeable weight loss. The thyroid gland plays a key role in regulating the body’s metabolism and when enlarged it produces an increased amount of hormones which can then affect multiple organs. Cardiovascular side effects are common because when a cat’s metabolism increases, the heart is stimulated to pump faster and more forcefully. This leads to thickening of the heart muscle, resulting in abnormal blood flow, which is heard as a murmur. High blood pressure - also known as hypertension - is another result of the cardiovascular changes that can occur. This can result in neurologic abnormalities, kidney disease and retinal detachment, which results in blindness. This disease can be managed effectively with life-long medication. 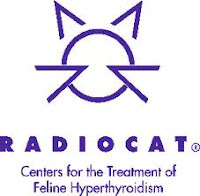 Another option is radioactive iodine therapy, and is generally considered the gold standard of treatment for feline hyperthyroidism. This procedure attacks and destroys the overactive thyroid cells producing permanent results. It works very well but is expensive. It is not an option if any underlying kidney disease is present as the patient could develop chronic kidney disease once the thyroid is corrected. Just like in people diabetes occurs when the pancreas does not release enough insulin in response to elevated blood sugar levels. This results in an inability of the body to use glucose as a source of energy and results in excessive amounts of glucose in the bloodstream. Diabetes is estimated to affect one in four hundred cats. Those treated with steroids, as well as obese kitties are prone to developing diabetes. The most noticeable clinical signs of a diabetic animal are increased thirst and urination. Owners will notice their cats drinking out of every available source of liquid and finding copious amounts of urine in the litter box. Owners may also detect weight loss or general malaise as the first signs of diabetes. As with the above diseases diabetes is detected with the same blood and urine tests recommended for annual senior kitty screening. Once diagnosed owners and doctors must join forces to determine the correct dose of insulin. This often requires multiple hospital visits for a blood glucose curve, which consist of checking the blood sugar every two hours throughout the day. This allows us to determine how the patient is reacting to the dose of insulin. If the blood sugar is too high or too low adjustments will need to be made in the dose. If an owner has the time or inclination we like to teach them how to perform curves at home as it is far less stressful for kitty. I feel this is by far the most difficult of these three diseases. It is not only expensive to treat but also hard on owners emotionally and logistically to have to give their cat an injection twice a day. As a veterinarian diabetes is frustrating as it can be notoriously challenging to stabilize the patient and find an appropriate dose of insulin when a cat’s pancreas has the tendency to frequently change it’s mind. Finally it is hard on the kitties. If poorly regulated they will often not feel well and multiple trips to the hospital for blood glucose curves can be stressful. With commitment and dedication diabetes can be managed very effectively but it definitely takes a devoted owner.